LEAWOOD, KS (January 13, 2016) – At CARSTAR Auto Body Repair Experts locations across the country, bright red and gray paint is being rolled on the walls, new signs are being hoisted, new waiting rooms and customer service areas are being completed – all as part of CARSTAR’s national store rebranding program to give store owners a professional look and competitive edge in their marketplace. The new store design, which plays off of the red, silver, black and white of CARSTAR’s logo, provides customers a clean, fresh, confidence-inspiring environment from the moment they arrive. It also helps deliver against consumers’ changing expectations for retail automotive services. No longer are they satisfied with a dingy counter area and limited availability of services while they wait for their vehicle. Today, they expect a comfortable waiting area with a host of amenities, meeting spaces where they can review their repairs with a CARSTAR repair professional, a consistent, branded exterior and more. 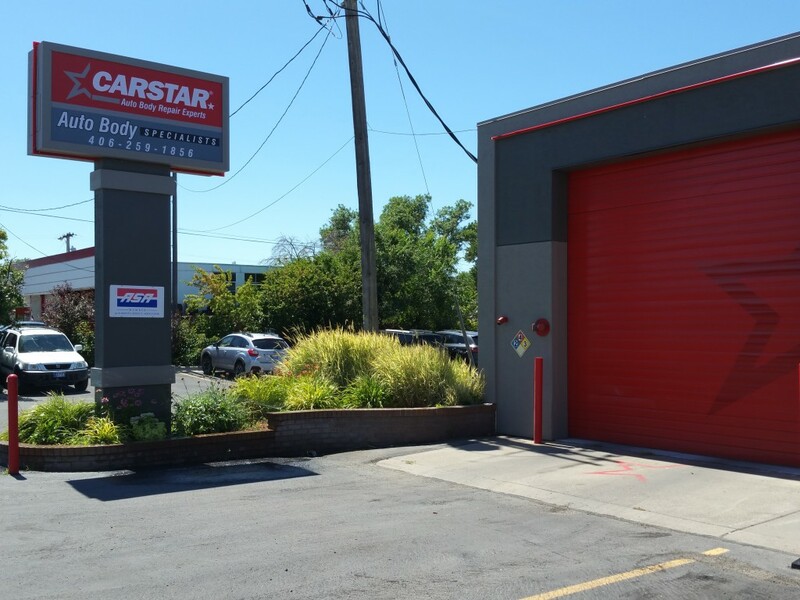 Located in Billings, Montana, CARSTAR Auto Body Specialists has been in business since 1973 and a CARSTAR store since 2005. When CARSTAR Auto Body Specialists manager, Jan Combs, learned in 2013 that CARSTAR franchisees would be rebranding their stores, she said she understood. “Creating a new look is the natural progression of what businesses need to do to keep their buildings looking fresh, new and nice,” she said. “I was glad to get rid of the old colors. I thought they were dated. We get busy in our day to day lives and overlook that things need spruced up and cleaned up. When Moe Shaban, general manager at CARSTAR Premier in Houston, heard about the new branding initiative, he also was enthused. Darrin McCaughey, general manager at CARSTAR Don & Ron’s in Omaha, had less than positive thoughts about the new imaging but quickly changed his opinion as the process got underway. Brothers Don and Ron Krzemien started in the body shop business in 1965, and have been a CARSTAR store since 1994. Darrin has been with them since 2005. “It’s not like the old days when you walked into a little room and got a hand-written estimate,” McCaughey observed. “If you don’t give your customers professionalism up front, they’ll wonder if you have it in the back. Pleasing the customer is the first point of our business and this new image is part of that. I was not really happy initially, but I felt the brand needed to be updated--and Corporate did a great job on the colors. And, we were fortunate because we’ve been steadily growing for five years and were in the process of needing to expand. It was a double-edged sword that actually worked out great in both aspects. When Dave Jacobus, owner of CARSTAR Jacobus in Vancouver, Washington, learned about the new branding, he also had some negative feelings at the outset. For the team at Jacobus CARSTAR, new imaging took a month from start to finish. “The technicians were negative about the changes,” Jacobus noted. “But, they sure liked it when the changes were done. Change--a business makeover--is hard for anyone. CARSTAR Auto Body Repair Experts--a part of the Driven Brands, Inc. family of automotive aftermarket franchise brands -- is North America’s largest Multi-Shop Operator Network of independently owned collision repair facilities with more than 450 locations in 30 states and 10 Canadian provinces. CARSTAR delivers national scale, consistently high-quality vehicle repairs, repeatable outcomes and the industry’s highest customer satisfaction ratings; all repairs are backed by a national warranty and service guarantee. It was ranked 106th on Franchise Times® annual Top 200™ ranking of the largest franchise systems in North America and was named 18th on the Kansas City Business Journal’s Top 150 Private Companies list. The Romans Group LLC ranked CARSTAR the No. 1 largest MSO in North America. For more information visit www.carstar.comand follow us on Facebook and twitter .